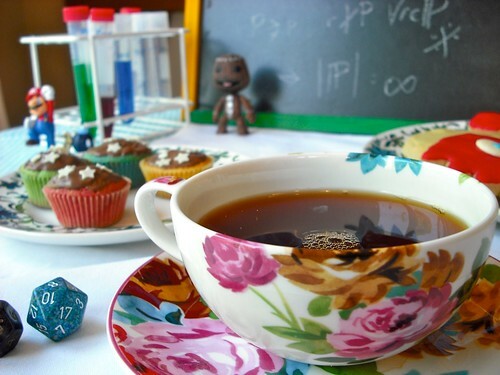 The next Girl Geek Tea Party in Manchester will be on Sunday 26th June at Madlab from 2-4pm, and will be a geeky Show & Tell. Anyone is welcome to come and talk for a short time (10-20 minutes) about anything you think is interesting, or show us something cool related to science, technology or engineering. There’s no need to prepare anything, and you’re welcome to just come and watch – however, impromptu talks are welcome, as well! Our very own maths geek Katie Steckles will do a short session involving some nice mathematical objects which can be made out of paper, which will be hands-on for everyone! The event is free and there will be tea and biscuits, and we encourage you to bring & share your favourite biscuits, cakes, and other snacks! It will be a fun, informal chance to meet and socialise with other girl geeks, practise ‘public’ speaking in a friendly environment, as well as a chance to see some interesting talks. We will have a laptop, projector and speakers, so all you need to bring is a presentation on your laptop or USB drive, your favourite mug, and some snacks to share!